ECG vs EKG: What's the Difference? When investigating applications for biosensors—particularly electrocardiograms—you’ll eventually come across two very common abbreviations: ECG and EKG. If you’re not familiar with these abbreviations, it can be tricky to determine which is which. However, once you know the difference between an ECG and an EKG, you’ll be well on your way to discovering what makes them increasingly valuable tools for device manufacturers that want to create revolutionary products for consumer health and wellbeing. What Do ECGs and EKGs Do? When you dive a little deeper into how ECGs and EKGs work, you’ll discover a fascinating process. For your heart to beat, its sinoatrial node (also known as an SA node) needs to send out an electrical impulse. This electrical impulse travels across the muscle cells of the heart and triggers contractions—more commonly known as your heart beat. These electrical impulses are essential for ensuring your heart keeps a steady pace. When a person has an ECG or EKG performed, they are having these electrical impulses measured and recorded. When paired with algorithms, an electrocardiogram biosensor can translate the data it collects from this electrical activity into actionable insight into an individual’s health. ECG and EKG technology can feel very futuristic in a lot of ways, but—believe it or not—they actually began to be developed in the late 19th century. A milestone moment in the evolution of this technology occurred in 1905, when Dutch physiologist Dr. Willem Einthoven recorded the first human electrocardiogram. This process was transmitted to his lab from a hospital (a distance of nearly a mile!). Einthoven would later win the Nobel prize for inventing the electrocardiograph. As the technology evolves, it is becoming easier than ever for device manufacturers—and the customers that buy their products—to make use of ECG and EKG. While initially only available in medical environments or under the supervision of a healthcare provider, the rise of wearable technology equipped with ECG and EKG biosensors is making it possible for consumers to gain access to their personal data, using it to track their health and make necessary lifestyle changes over the long term. In biosensor form, ECGs and EKGs can enable incredibly valuable tracking tools (for humans and their four-legged friends!). ECG and EKG readings are painless and completely non-invasive. When embedded in a wearable or mobile device and enabled by algorithms, ECG and EKG biosensors open up a world of opportunities for consumers, as well as device manufacturers. As ECG and EKG technology continues to evolve, we will see opportunities for healthcare professionals to provide impactful remote monitoring and care to patients, athletes to more effectively track their training progress, business owners to combat stress in the workplace, and more! What’s the Difference Between ECG and EKG? The fact of the matter is that an ECG and an EKG are the exact same thing. That’s right, the most surprising difference between an ECG and an EKG is that there is no difference at all. Both ECG and EKG stand for electrocardiogram. So, if an ECG is the same thing as an EKG, then why are there two different abbreviations? It’s actually quite simple—when the word electrocardiogram is translated into the German language, it is spelled Elektro-kardiographie. EKG is just the way some people choose to say ECG based on this translation. The NeuroSky CardioChipTM takes full advantage of the data collected via ECG and EKG technology—presenting a number of benefits to wearable device manufacturers. 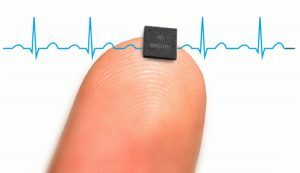 The world’s smallest ECG biosensor, it is incredibly small, measuring in at 3mm x 3mm. It’s also the most completely integrated chip on the market, making it ideal for enabling easy-to-use mHealth wearables, devices, and apps to better track and manage physical and mental wellness. 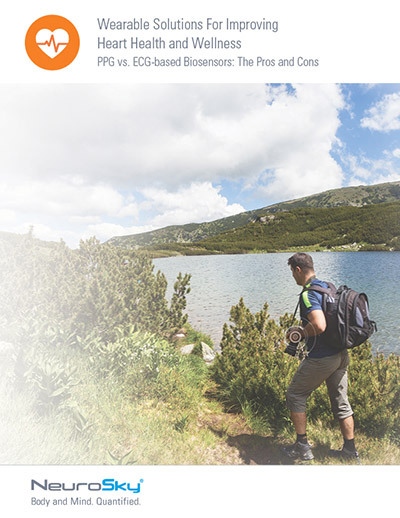 You can learn more about these use-cases in our whitepaper, Enabling Accurate and Reliable Stress-level Measurements with ECG and EKG Technologies. The CardioChip makes use of NeuroSky’s biometric algorithm, which allows it to not only capture heart health data, but also present it in terms that are easy to understand for users. A perfect example of the CardioChip in action can be found in the ASUS ZenWatch. This tastefully designed device allows you to collect a wide assortment of health statistics, including heart rate, discretely from your watch. And because it’s powered by the CardioChip, the data collected is presented in terms a wearer can understand and action—allowing them to make smarter decisions about their health. You can learn more about utilizing ECG and EKG biosensor technology (such as the CardioChip) in wearable and mobile devices by downloading our free whitepaper: Wearable Solutions for Improving Heart Health & Wellness. To learn more about possibilities that come from powering your device using an ECG biosensors such as the CardioChip, get in touch with our sales team today!